A berry happy new year is just around the corner. 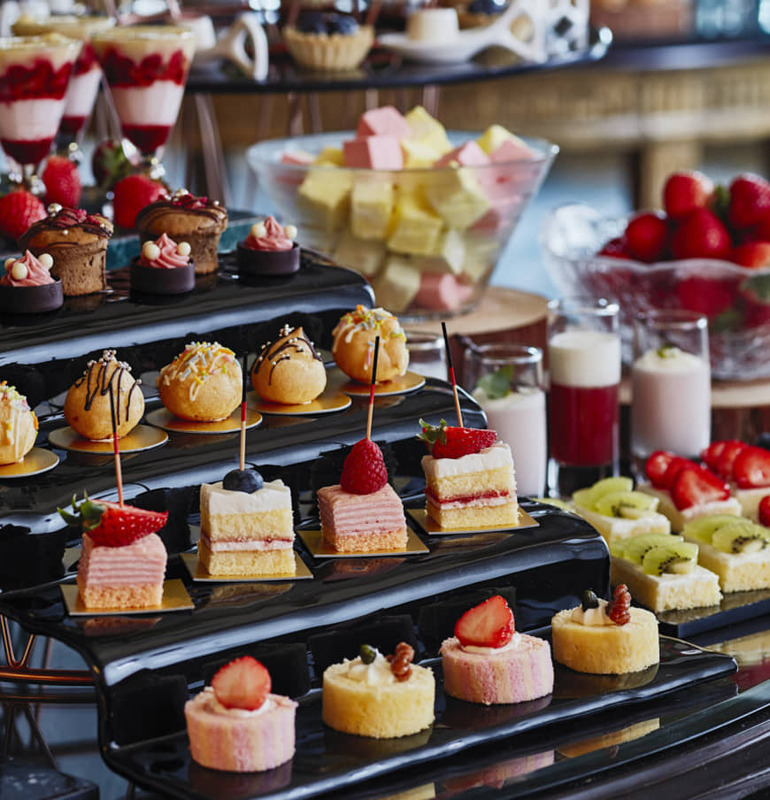 Strawberry season is coming up fast, and Hotel Chinzanso Tokyo is celebrating with a springtime lunch buffet featuring 22 varieties of fresh strawberry delicacies. 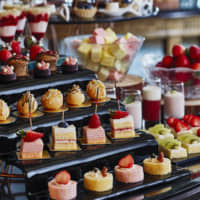 Playfully dubbed The Forest Strawberry Party, the buffet is taking place at the hotel’s third-floor lobby lounge Le Jardin. It is available in 90-minute sessions between 11:30 a.m. and 1:30 p.m. on weekdays from Jan. 16 to March 20 (reservations required) and is priced at ¥4,300 with reduced prices for children 12 and younger. Featured among the tart berry creations are fluffy pancakes drizzled with strawberry sauce, classic strawberry shortcake, strawberry mont blanc and the chef’s recommended strawberry brulee parfait. There will also be a parfait station where guests can craft their own parfaits using three varieties of ice cream, strawberry compote and their choice from among six French syrups. Additionally, Hotel Chinzanso Tokyo is hosting a Cacao & Berry Lovers Photo Campaign. Post a picture or video themed around berries or chocolate on Instagram at @hotelchinzansotokyo_official with the hashtag #cacaoberry_hct during the buffet event period for a chance to win hotel vouchers, dinner tickets and other festive prizes. Hotel Chinzanso Tokyo is 10 minutes from Edogawabashi Station. For more information, visit hotel-chinzanso-tokyo.jp or call 03-3943-1111. 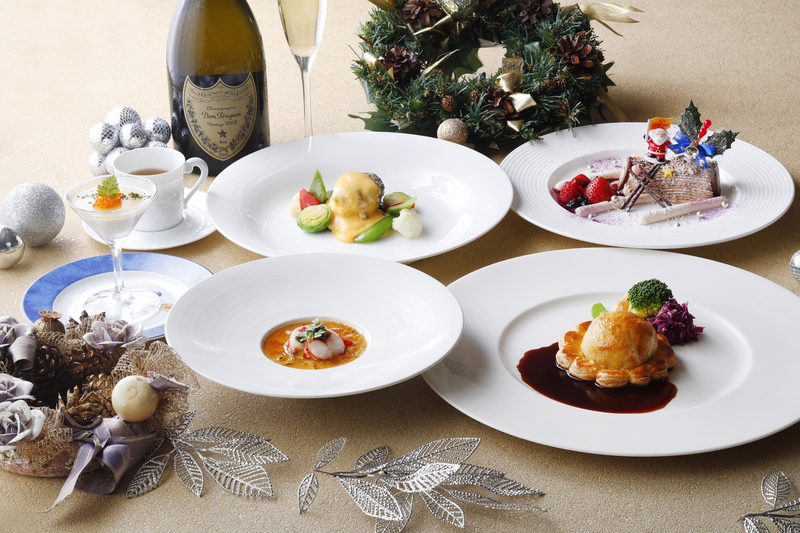 There are many ways to celebrate Christmas — and The Westin Tokyo has nearly all of them covered. From Christmas cakes and gift baskets to Yuletide meals and holiday cocktails, there’s something for everyone at the Westin Christmas Wonderland. From Dec. 15 to 25, French restaurant Victor’s on the hotel’s 22nd floor is putting together a luxurious Christmas dinner served with Dom Perignon for toasting. Available from 5:30 p.m. to 9:30 p.m. for ¥21,000 (¥19,000 without the Champagne), the dinner features decadent culinary creations, including roast angler fish, sea urchin sabayon and turkey pie. Meanwhile, second-floor international restaurant The Terrace is hosting a Christmas buffet from Dec. 8 to 25 during its lunch and dinner time slots. Priced at ¥5,500 per couple for lunch (¥9,300 for dinner), the buffet offers many classic Christmas delights such as roast turkey, cranberry sauce, stuffing and creamy Brussels sprouts. Hotel guests who want a little spice in their Christmas cheer should head to either The Bar or Compass Rose from Dec. 1 to 25 for some seasonally crafted cocktails — including two that were inspired by the popular French Christmas cake buche de Noel — for ¥2,000 each. The Westin Tokyo in Yebisu Garden Place is seven minutes from Ebisu Station. For more information or reservations, visit www.westin-tokyo.co.jp or call 03-5423-7000. The Keihan Group is proud to announce the grand opening of its second Kyoto establishment, Hotel Keihan Kyoto Hachijoguchi on Dec. 1. A five-minute walk from Kyoto Station, the hotel’s overnight prices start at ¥6,300 for single rooms and ¥4,800 per person for twin rooms. Designed as a simple yet functional living space, the hotel incorporates modern arrangements of architectural motifs characteristic of Kyoto townhouses and samurai residences during the Edo Period (1603–1868). The lobby features L-shaped wooden latticework decor resembling torii gates, and each room comes with an elegant tea set for guests to partake in a quiet respite. Modern amenities include free Wi-Fi, a grand bath with indoor and outdoor areas, a multilingual tourism information corner and a small library featuring books and photography collections about Kyoto. The bright and spacious restaurant area offers the Keihan Group’s classic buffet-style breakfast using local tofu, pickled vegetables and roasted green tea rice porridge — among other regional specialties — so guests can start their day in Kyoto on the right foot. 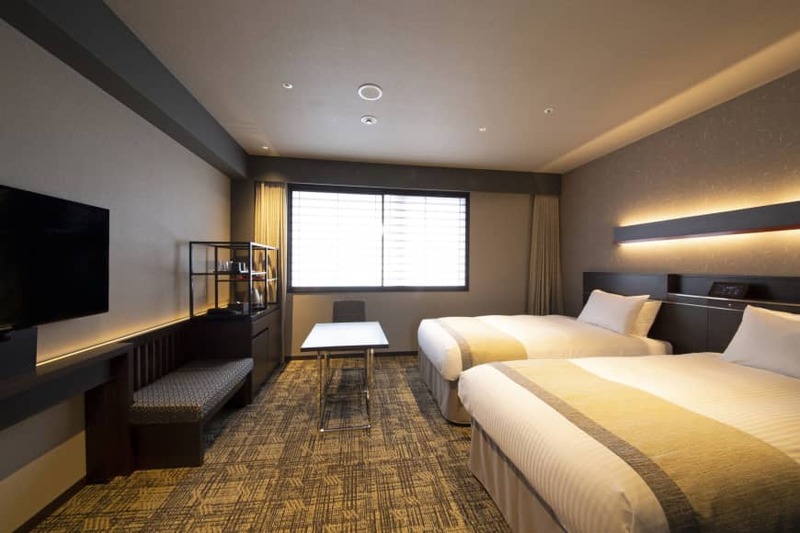 Hotel Keihan Kyoto Hachijoguchi is five minutes from Kyoto Station or three minutes from Kujo Station. For more information or reservations, access https://www.hotelkeihan.co.jp/kyoto-h/ or call 075-662-0321.